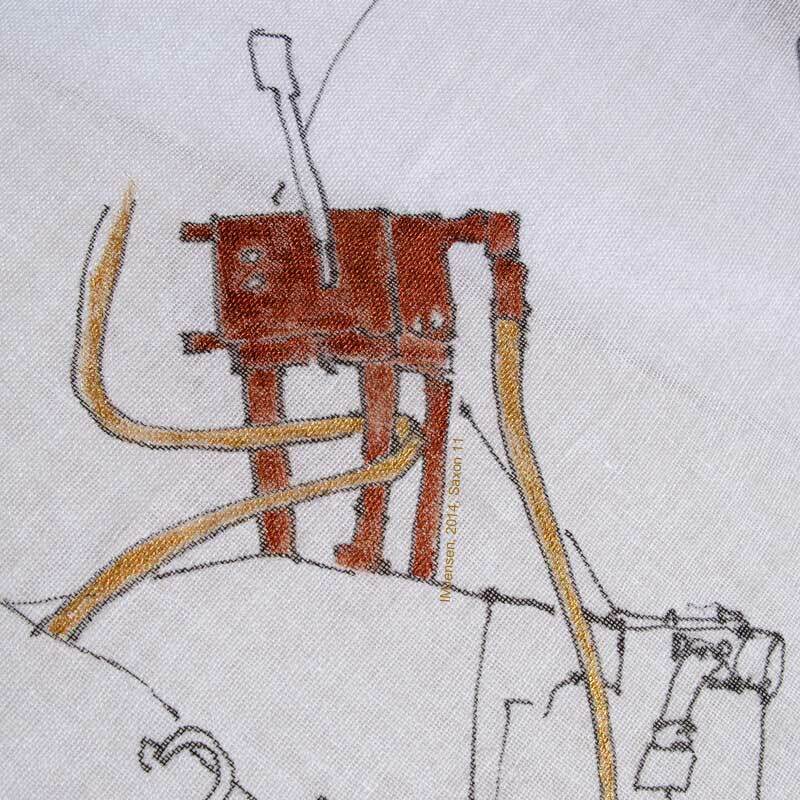 2014: New Grounds was a project devised in collaboration with Jennifer Allison, Curator of the REME Museum of Technology. Funded by Arts Council England and the Ogilby Trust, it commissioned ten artists from OpenHand OpenSpace and arjeea21 to make and install site-specific work in response to items from the Museum's collection. 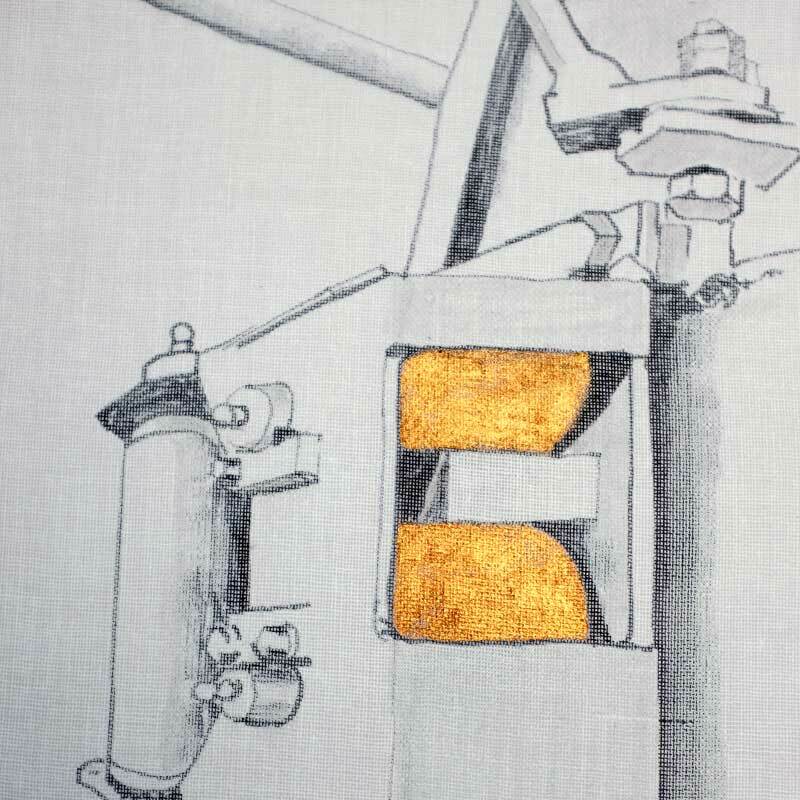 The main exhibition New Grounds was held in the Prince Philip Vehicle Hall in Arborfield from 2 May - 28 Sept 2014, and the making process was also featured in a smaller exhibition at Brock Keep called Test Pieces, which compared the making of practice or test works in both engineering and art. My own own work, apart from helping with the administration, was called Points of Engagement. This explored the notion that when we see or use an object we focus mostly on particular parts of it that we actually use, rather than proportionately on the object as a whole. 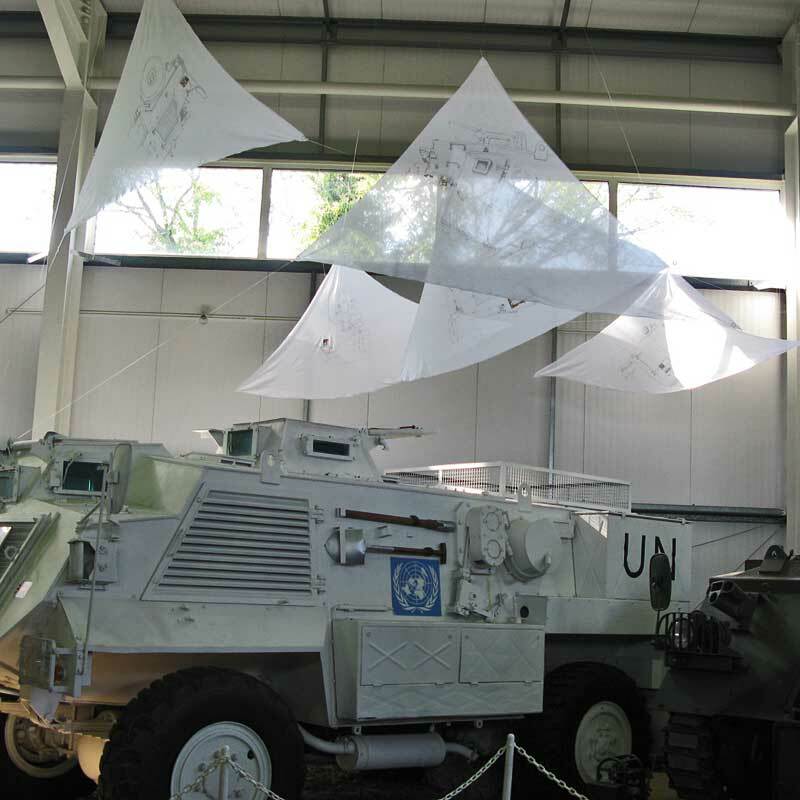 Drawings were made of selected operational features of the Saxon armoured car, using ink and metallic paint on large sheets of muslin, which were then suspended above the vehicle.